Hello everyone, hope you had a wonderful Christmas! 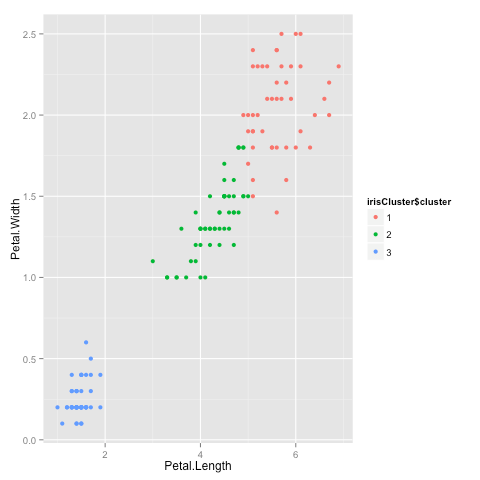 In this post I will show you how to do k means clustering in R. We will use the iris dataset from the datasets library. Reassign data points to the cluster whose centroid is closest. Calculate new centroid of each cluster. These two steps are repeated till the within cluster variation cannot be reduced any further. The within cluster variation is calculated as the sum of the euclidean distance between the data points and their respective cluster centroids. Okay, now that we have seen the data, let us try to cluster it. Since the initial cluster assignments are random, let us set the seed to ensure reproducibility. Since we know that there are 3 species involved, we ask the algorithm to group the data into 3 clusters, and since the starting assignments are random, we specify nstart = 20. This means that R will try 20 different random starting assignments and then select the one with the lowest within cluster variation. We can see the cluster centroids, the clusters that each data point was assigned to, and the within cluster variation. Let us compare the clusters with the species. 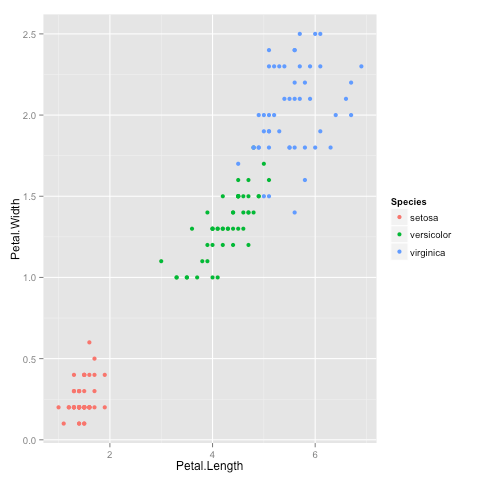 As we can see, the data belonging to the setosa species got grouped into cluster 3, versicolor into cluster 2, and virginica into cluster 1. The algorithm wrongly classified two data points belonging to versicolor and six data points belonging to virginica. That brings us to the end of the article. I hope you enjoyed it! If you have any questions or feedback, feel free to leave a comment or reach out to me on Twitter.